Any conversation of candidates has to include what has become to always be called, “The Honourable Mention Choices.” These guys have little or no substantial coaching experience, but have strong connections to Duke., so they could not be ignored. This may seem like a nepotistic hire considering that White’s father is the current athletic director at Duke but that isn’t the totally the case here. Yes he is mentioned because of his Duke connection but White does have a better resume than most of the coaches previously mentioned. He spent four years at Louisiana Tech, with a winning percentage of .758. He never made the NCAA tournament but an argument can be made for an At-Large bid each of his last 3 seasons, where he averaged 27 wins. That is why Florida hired him as Billy Donovan’s successor at Florida. If White continues to have the same success there, whether his father is the AD at Duke or not, he should be considered as a viable candidate. Ah nepotism, I couldn’t think of a better reason to hire a guy to follow a living legend. It would be different if he had been left a good team, but unfortunately, “Billy-the-Kid” left the cupboards pretty bare, except for former Duke hopeful, Alex Murphy. I do not think he will be a contender right away, even in one of the weakest conference of all the elites. He has a huge building process to go thru with absolutely no name recognition, making recruiting even harder. I think if his father even put him on the list, he should be roundly criticized. Recently retired from the NBA, where he had success for several teams, and is known as more of a specialist player. His is a similar resume to Kevin Ollie, who recently won a championship at UCONN in his first coaching job. Battier spent 4 years at Duke going from a role player to a star, add to that his current job as a respectable talking head, surely it is easy to envision that Battier might be successful on the sidelines if he chooses this career path someday. 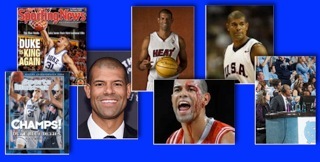 Shane Battier is my all time favourite Duke player so it is hard for me to criticize his consideration. He has succeeded at everything he applied himself to. He made every team he ever played on better in short order. Unfortunately, that’s on the Court and in the locker room. Shane is currently working for ESPN, and doing a good job. I think he likes the latitude, flexibility, and the casual life. He has not indicated that Mrs. Battier would like him to return to the Court, but this time in a 3 Piece Suit. Maybe further down the road than Coach K has noted, but not right now !!! It is well know that Bilas has a complete disregard for the NCAA, always using his Twitter feed to highlight some perceived injustice or the other by college basketball’s governing body. Would he want to put himself directly in their firing line by entering into coaching ??? Moreover, would any program want to hire him knowing that their school may come under added scrutiny ??? 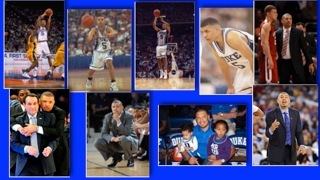 Next, we discuss some more Duke alums , so stick with us !!! There is no blueprint for success in college basketball. Sometimes you have a good season when you are expecting a bad one, and vice versa. Sometimes your right job turns out to be a nightmare, and other times a panic acceptance turns out to be a blessing in disguise. The following Duke alums probably aren’t the first names to roll off the tongue in consideration for Duke, but it would be rude to overlook them. When Tommy Amaker initially left Duke for Seton Hall, he had an immediate impact in a short 3 years. It was so much so that when he bolted for Michigan, there are still people in New Jersey will not utter his name !!! Let’s face it, if you were offered a legacy programme over the dregs of Newark, New Jersey (Hey, I’m a “Joisey” guy so I can talk !!!) wouldn’t YOU go ??? At Michigan, Tommy was tasked with mopping up after the debacle Steve Fisher allowed to happen with the unfortunately renowned “Fab Five” and their criminal relationship with a Booster. He was successful in cleaning up the programme, but never got his teams to the Big Dance. This was beneath Michigan’s lofty expectations, so he was fired, bought out, and within less than 30 days, signed as Harvard’s new Head Coach. At Harvard, he has done great things, considering that students must be true Student Athletes because no athletic scholarships are offered, as is commonplace in the Ivy League. He is responsible for leading Harvard into the Big Dance, and even advancing. There are a few aspects that have to be understood about Tommy. His wife, Stephanie, is a Clinical Psychologist and a Duke alum. Harvard offers her an excellent venue for her Practice, and even teaching opportunities. The other aspect is that he is known to be a leading member of an African-America group of businessmen and professors, along with Harvard Professor Charles Ogletree, to discuss sociopolitical issues. Both aspects would come into consideration if he were to be offered the job, even to the point where he might dare turn the opportunity down. That is why I think that, while he might be high on some lists, he is not on mine. If college basketball coaching was a swimming pool, Tommy Amaker jumped right into the deep end, and somehow managed to find his way to the shallow part, where he learned to swim. After starting in the Big East and continuing to the Big Ten, Amaker has found continued success in the Ivy League where for five consecutive seasons he has won the conference and made the NCAA tournament. Amaker came into his own at Harvard. He built that program into what it is today. This is why, as we previously alluded to, it is good to start at smaller schools and work your way up rather than head for a Power conference. In spite of his current commitments at Harvard, Amaker may now be ready for a big time school. The question now is should he jump for just any school, or the right school ??? Quin might not be a name regularly brought up in discussions such as this. It is because he was a player in the late 80’s who went undrafted. He was brought on staff by Coach K after a year as an Assistant with the Los Angeles Clippers. He stayed at Duke for 6 years while earning an MBA and a JD. Then Missouri came calling. At Missouri, Quin had a reputation of getting much more out of his players than anyone expected. He took his teams into the Big Dance 4 years straight, getting to the Elite 8 in 2002. Unfortunately, the ticky-tak compensation rules of the NCAA bit him in the posterior after he admitted to having the audacity to bring players over to his home for meals. I guess I’ll never be an NCAA coach since I love entertaining friends with my culinary efforts. Quin was forced to resign. The stupidity of the situation initially caused him to declare that he would not coach again, but alas, the coaching bug had bitten him !!! Quin was asked to coach the NBA D-League Austin Toros and did so with great aplomb. He then enjoyed stints with the Philadelphia 76ers, Los Angeles Lakers, a Moscow professional team, and the Atlanta Hornets as an Assistant Coach. Finally, last year, he was offered the Head Coach position with the Utah Jazz. Such a resume does not make Quin a likely candidate to succeed Coach K. He has been removed from 18 year olds for too long and uses very different contrivances to inspire NBA players, even if they are getting younger there with every year. I think he will continue to have a nice coaching career, but just not back in college !!! Quinn Snyder can bring something to the Duke coaching job that not many of our current candidates can which is a fresh perspective. After doing the same job for years, one can become complacent. Having coached abroad, in the D-League, and in the NBA, Snyder has a wide range of experience as a coach to shake things up. We spoke about Fred Hoiberg’s success at Iowa State, then there is Larry Brown at SMU. Then there are guys like Rick Pitino and John Calipari … Guys who went from college coaching to the NBA and back. Recently Avery Johnson was hired at Alabama and Chris Mullins at St. Johns. If all these NBA coaches can find success in college basketball, especially Johnson and Mullins, then that would be Snyder’s way in because Athletic Directors love to follow trends. Next, we discuss more Duke candidates, so stick with us !!! 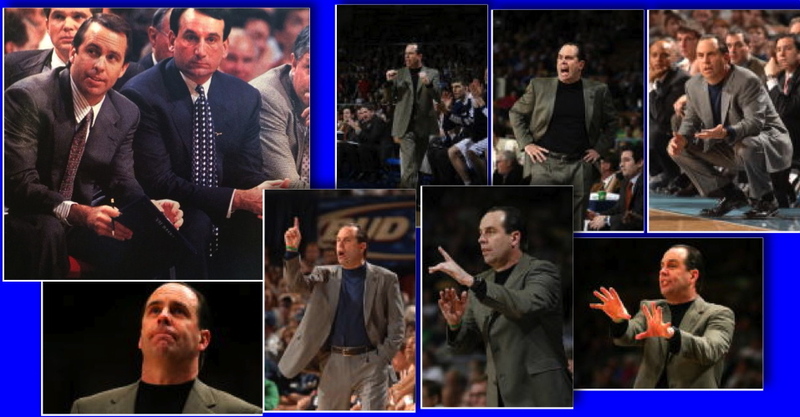 We continue our series of looking at coaches that can keep the tradition of winning at Duke, after Coach K retires. Today we are going to be looking at some guys with very familiar names. They have yet to convince us that they should be seriously considered for the job, but that should change in 3 to 5 years time. These guys are at varying stages of their careers and have worked together previously. Both won at least a Championship at Duke, but one other similarity is they have all jumped into their first Head Coaching gig in a Major Conference. Is it wise to take a first Head Coaching position in a rebuilding Power Conference ??? History has shown that those coaches that start small, honing their skill set out of the spotlight, normally have more staying power. Coach K’s first job was at Army. Also, coaches who start small and move up gradually, showing consistent results at every stop, and normally inspire more confidence. A prime example of this is Bill Self who started at Oral Roberts then coached at Tulsa and Illinois before becoming a champion at Kansas. At every stop Self had success and there was no doubt he was the right hire for Kansas. The trouble with starting with a top job is there is no way to go but down. Something James Johnson learned the hard way. James Johnson was an Assistant Coach at 8 schools before taking the Head Coaching job at Virginia Tech. Two years later, he is now the Director of Basketball Operations at Miami. There are some tough jobs, and there are some very bad fits, but there are also some great fits. Tom Izzo had his first Head Coaching job at Michigan State after being an Assistant there. Fred Hoiberg had plenty of success in his first ever coaching job at Iowa State before recently leaving to coach the Chicago Bulls. 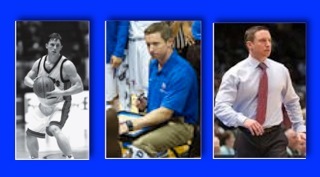 The following coaches spent over 10 years with Coach K, then decided to chose some really tough challenges. It is one thing to be an excellent student driver with an Instructor sitting next to you, and then a good driver on your first solo ride. Is there a Tom Izzo or a Hoiberg amongst this group ??? Time will tell. Johnny Dawkins was the heir apparent for as long as he sat next to Coach K, turning down oh so many suitors. Then the Stanford job came up in 2008 and he took it. I have always wondered if he was nudged a bit out of the nest. I still think out of respect, his phone rings first. I honestly never thought his stellar playing years translated out west. So, while Johnny has had more than a modicum of success at Stanford, it has not kept him out of the annual “Hot Seat” articles. 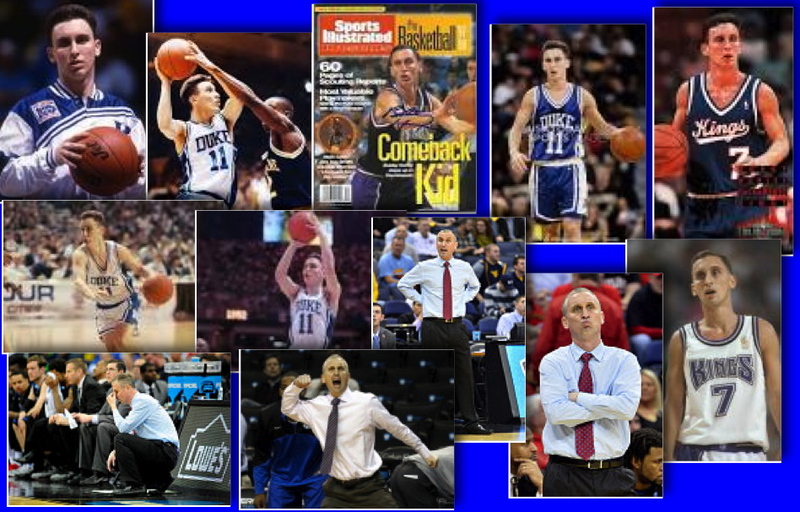 He is in an incredibly tough recruiting area and it just got worse with the hiring of fellow Duke alum, Bobby Hurley at Arizona State. Imagine that, two Duke legends going head to head !?!?!? West Coast kids have other programmes imprinted on them from the crib and rarely have a dozen colleges they are considering. Then there are the 4.0 kids who expect to to fully matriculate. So, in contrast we have the current “impedance” of this “one-and-done” era is that kids know coming in, that academics are no push over. I think that if Johnny wants to maintain a first call position, he has to win more and more, and more impressively at Tournament time. I hope to hear of another multiple year contract extension for Johnny. He is under contract thru the end of this coming season. After that is a reasonable question mark. He may wish to return to the more familiar east where the parents of kids he looks to recruit still remember him. A Stanford extension, because he has discovered how to win big, or a job someplace else, where he could excel, could double-down on his chances of that first call being Duke’s last. When Coach K started at Duke, it wasn’t pretty until the great Johnny Dawkins and his recruiting class turned up. Coach K made his first tournament appearance with these guys, in their second season, and that started the Duke tradition of winning. Dawkins’ recruiting class was the catalyst. He was the Leading Scorer and probably Coach K’s First Naismith Player of the Year awardee. He came back after a professional career in time to see Duke win their 3rd Championship, in 2001, and was at Duke up until 2008, at which point he took the Stanford job. Some people may argue that Duke’s success waned in his absence until the arrival of one of our top contenders, though there is more to it than that. That’s why Dawkins will always have a special place in the hearts of the Duke fan base, however that does not automatically give him a shoe in. In 7 seasons at Stanford, Dawkins has made the NCAA tournament once, but has been NIT champions twice. Making the NCAA tournament once in 7 years as a PAC-12 school does not sound great. Another Red Flag is his team’s style of play, which only a die-hard fan would find entertaining. The good news is Dawkins is making progress in the PAC-12. They had a setback last season after finishing 3rd in conference the previous season. It is not hard to envision that things will change this coming season with the matriculation of a very good 2014 recruiting class, which incidentally might be to Dawkins what his 1982 class was to Coach K.
Steve Wojciechowski or “Wojo” is just getting started at Marquette. From day one everyone knew this was always going to be a rebuilding project. A tough job, considering that they are in the Big East, even if it is now watered down with the loss of Louisville, Syracuse, Pitt and Notre Dame. Two ways a coach at a new school can impress is by winning or recruiting well. A coach’s number one priority is to win games, and if they can do that from day one, bully for them. Recruiting is the lifeline of winning. Get the right recruits you will put yourself in a good position to win. Suffice to say with a 13-19 record and finishing bottom of the conference (4-14) Coach Wojciechowski has a lot of room to improve. His first recruiting class was pretty impressive. Snagging 5 Star recruit, Henry Ellenson, from the likes of Kentucky and Michigan State is a remarkable achievement for a first year coach. Throw in four more recruits, all 4 Star rated by ESPN, and that is a pretty good base. ESPN ranks Marquette as the 10th best recruiting class of 2015. If he can recruit this well in the first year, what will he do in year two or three when he has established a longer relationship with top recruits ??? Andrew Rowsey cannot play next season as he just transferred from UNC-Asheville where he averaged 20 points per game two seasons there. Rowsey will have two seasons of eligibility starting from 2016. That is a promising future for Wojo. Wojo has shown he can recruit but can he coach ??? He just needs to show us that he can coach those players. Ah, “Wojo” … What Duke fan could not love his floor slapping verve ??? I certainly don’t, and never will. When “Buzz” Williams unexpectedly left Marquette for Virginia Tech, the phone presumably rang in Coach K’s office, and “Wojo” was the name proffered. There is no doubt that he will bring his verve, and what he learned sitting next to Coach K to the job of Head Coach. He certainly has potential and has been reported to have had plenty of luck getting kids he targets. The problem of getting that Duke phone call is that while he undoubtedly bleeds Duke Blue, he is inexperienced and not yet proven he can coach. The other fact is that presently, Marquette is as far away from winning as they are geographically in the Big East. Now that does not preclude him from winning big and consistently, but I still believe he’s a long shot !!! Chris Collins took a job where the team hasn’t made an NCAA appearance since before Doug Collins (Chris’ father) was born. The team that is a perennial cellar dweller of the Big Ten. This leads to one of two conclusions: Collins must have been really desperate to be a head coach or he loves a challenge. Tex Winter, the father of Phil Jackson’s Triangle, failed to guide Northwestern to the tournament and so did former National Coach of the Year, Bill Foster, the man who preceded Coach K at Duke. Now Collins is trying to persevere where those guys failed, as a first time Head Coach. The problem with Northwestern is that they are a Mid-Major type program trying to survive in a power conference. Collins will be sparring against the likes of Thad Matta, Bo Ryan (at least for one more season), Tom Izzo, John Beilein, Tom Crean, and now Mark Turgeon. On top of that Northwestern is not an easy place to recruit. Collins has only had two commitments from ESPN’s Top 100 recruits and they were north of 50. The question now is how can a guy with so much stacked against him become Duke’s next coach ??? Simple, the man who gets Northwestern to the NCAA tournament should be able to write his own ticket to anywhere. Like any Duke fan, I was happy to see Chris Collins be hired to head his own programme and demonstrate what impact all his years with Coach K, as player and Assistant Coach, had had. I was not so happy that he took an impossible position at a school in one of the elite conferences in America. The good aspect is that, while Northwestern had formerly been the bottom dwellers of the conference, the Big 10 inexplicably brought in Rutgers to assume that position. Chris comes from a good coaching lineage, and being one of Coach K’s right hand men has to have given him a great basis from which to work. The problem is that not even support of Northwestern Alum, Michael Wilbon has helped recruiting true top shelf players. The positive aspect is that Chris took his kids to a 6-12 in-conference, and a 15-17 overall record, so for those who think there is no light at he end of the tunnel, Chris can retort that he is sure someone has turned the light on as he’s heard the click of the switch. Chris suffers from the same incomplete resume as “Wojo” does. He has yet to prove himself by turning Northwestern around as Coach K did so many years ago. I would say that if he does, and consistently were to assert themselves in the Big 10, that might change my mind, but in a conference of “haves” and “have nots” I just don’t see that happening. So, I believe he will join other wonderful Duke alums who just don’t have a reason to be included in the discussion of Coach K’s possible successors. That is not to say that I do not wish him well … I most certainly do !!! Tomorrow, we discuss more Duke alums, so stick with us !!! Examining That Inevitable Topic: Who is Best to Succeed Coach K ??? Coach Krzyzewski is 68 years of age, so at some point, no matter how painful the thought, we have to consider that there might be a new coach at Duke within the next 5 years. If there were a Mount Rushmore of current college coaches, Coach K would be the only figurehead on that mountain. He is the current NCAA champion and has a chance to write his own storybook ending in a field where it never ends … well, when it ends. USA Basketball do not anticipate Coach K’s involvement past the 2016 Olympics. As a matter of fact they had to convince him to coach the team in Rio, not too strongly mind you, as any coach would be silly to pass that up. He just won his 5th NCAA Championship, has another great recruiting class coming in, and a good start on 2016 Class with the recent commitment of 5 Star recruit, Jayson Tatum. By the way, Coach K (1018-310) needs 71 more wins to pass Harry Statham (1088-467) for the most wins in College Basketball. All Duke needs to do is win a minimum of 24 games in 3 seasons to effect this. His mentor, Bob Knight, now a dot in his rearview mirror, was run out of town when Indiana finally lost patience with him. Adolph Rupp retired about 14 years after his last championship. He was forced into retirement due to Kentucky’s mandatory retirement age of 70, at the time. Dean Smith lost his inspiration and left unexpectedly, retiring 5 years after his last championship, with a couple of Final Fours thrown in between. John Wooden, on the other hand, retired a champion, but then that was a different age and time in College Basketball. The ultimate legendary ending would be to retire just like Wooden. I think Brad Stevens is one of the best X and O coaches in college basketball. He is going into his 3rd season with the Boston Celtics. He has a promising group who should be able to contend for a “Bottom 4” spot in the NBA Playoffs next season. So yes, this is a really long shot, but this is Duke. I imagine any serious offer to Stevens will be considered. What he was able to do in his 5 years at Butler is really remarkable. Being 38 means that Duke will have continuity for a really long time. It would be hard to ignore certain Duke oriented coaches but I believe the best man for the job should be hired above all else, and you can’t get any better than Stevens. If Brad Stevens were still at Butler, I’d take him more seriously. I believe that every year he is away from college basketball pushes him further away from ever returning. He is with a good organization that has made a commitment to him, which I believe will pay them premiums. They wanted a coach who could re-build their programme, and they got an excellent candidate. While he formerly could relate to college kids, today he is finding a way to inspire professionals. Yes, at his age, he would afford the long-term continuity that Coach K has given Duke, but I doubt he is their man. I believe Duke will stay within their alumni base, and an excellent one it is !!! Smart has all the strengths of Stevens and the same perceived weaknesses. They can both coach and they get the best out of lesser ranked talent but have never recruited at a high level, not that they needed to to win. Smart is still in college and if in three to five years time, he can turn Texas around, then there will be unreputed proof that he is the best candidate for the job. If Duke is the best in the business, why not go after the best coach out there? Why limit one’s self to former coaches and Alums? That did not work at UCLA after Wooden left? Nor did it work for UNC after Smith left. Same with Indiana after Bob Knight left, the next coach always find immediate success with the Legend’s players, then that third to fourth year is where the real struggles begin. If they hire the best coach at the time of Coach K’s retirement, while there are no guarantees in college coaching, this will give Duke the best chance at continuity. Shaka Smart or Stevens have shown that they are a step ahead of their peers, especially if you set aside Steven’s last season at Butler (injuries !!!). I have liked Shaka Smart since I first became aware of him. He has a great way of relating to his kids. Who can forget the slide across the floor after a big win at Tournament time ??? I think he will have the ultimate litmus test at Texas. They will wait for awhile to allow him to acclimate and recruit. I do not know how he is going to work out, but I’m sure he will give it his all. I do not think he fits the mold of the Head Coach of one of the greatest programmes of all time. I am one who believes that first impressions last. If I did not know who Shaka Smart was, his ill fitting, poorly worn attire would surely turn me off. Then there’s the day-old stubble look, which looks anything but professional. Do you think that unpolished look will last ??? I certainly hope not. Previously, he did not have a huge deep-pocketed alumnus, who will want to have their sartorial way with him, but he does now. I know, I know, don’t judge a book by it’s cover, but I have to ask if you can name another coach who was as unkempt. Tomorrow, we begin to address Duke alums, so stay tuned !! !